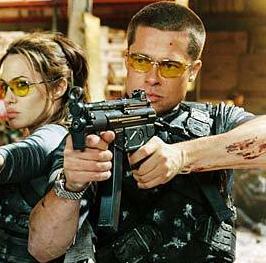 Brad Pitt and Angelina Jolie, the stars of the movie “Mr. And Mrs. Smith”, have banned their children from watching their violent movies. The celebrity couple has also banned their brood from playing with toy guns because they don’t want them exposed to violence. Johnny Depp Will Get Married This Summer?